Oreck Commercial is now re-branded as Bissell Big Green Commercial. It is made in the same factory, just is branded differently. The Premier Series Commercial Upright Vacuum is designed for a wide variety of applications including hotels restaurants schools and more. 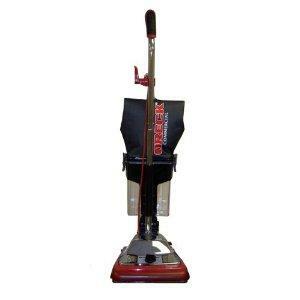 In 2013 Oreck was sold and purchased by TTI Floorcare, the parent company of Hoover, Royal, and Dirt Devil Vacuums. Edmar dba Oreck Commercial was a business partner and separate entity and factory which was approved and asked by Oreck to use their brand name. When TTI Floorcare acquired Oreck, they informed Edmar Oreck Commercial, that they would not allow them to use the brand name Oreck Commercial, because they want to own all aspects of the line. Edmar Oreck Commercial then contacted other manufacturers which then created a union with Bissell, to create the Big Green Commercial line of Vacuums. These units are made in the same Edmar factory as the older Oreck Commercial models, but have a new color, and brand name on the units.